OMG the The Elna eXpressive 920 sewing and embroidery machine is now Half price. Yes 50% reductiuon. Pay only $4799 . We have to sell 5 Units. It is the equivelant to the Janome Horizon 14000. Don't miss it. Save $5200 off RRP. ring us on 1300137041 to enquire further. It is made by Janome and is identical to the Janome Horizon 14000. Elna's all-new top-of-the-line sewing, quilting and embroidery machine, the new eXpressive 920 will help you for every tasks. 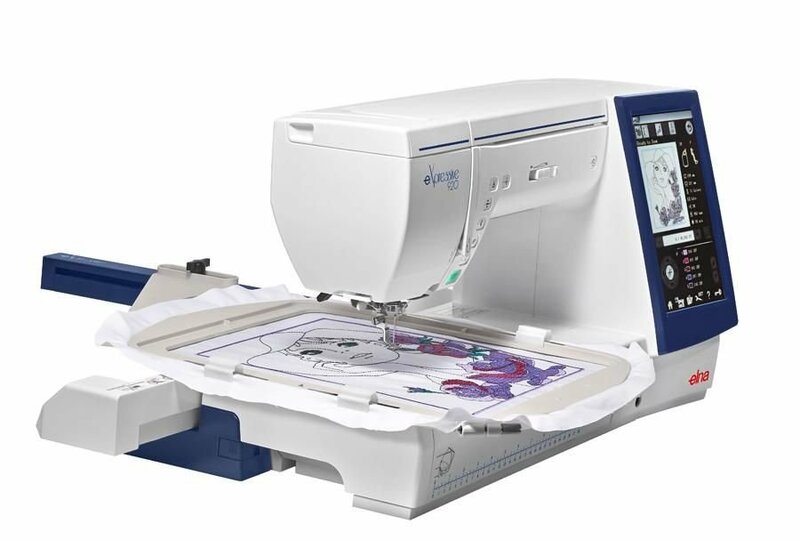 Create embroidery like never before by utilizing this machine's 350 built-in embroidery designs, 10 fonts for monogramming and a 2 & 3 letters monogramming function. stitch per minute, the new eXpressive 920 allows for larger and faster embroidery work. Quilters and sewists will enjoy choosing up to 400 stitches and 13 one-step buttonholes. The expansive bed space also makes the eXpressive 920 perfect for quilting, home décor or any project where added sewing space is a must.